Kit Harington attended the ‘Gunpowder’ preview screening at BAFTA on September 26, 2017 in London, England. You can go to the gallery to take a look to the photos and enjoy! Please, credit this site if you take the pics. If you know me a few, you must know that I really don’t like to post news or comments about Kit’s personal life but it is something ‘official’ and this is a fantastic new. So, I just want to congrats both of them about this. They are a beautiful couple. 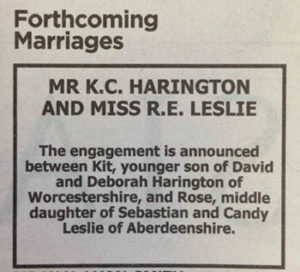 Congratulations Rose and Kit. The engagement of Kit Harington and Rose Leslie is announced in The Times of London on September 27, 2017 in London, United Kingdom. A previously unknown Harry Potter superfan has been discovered in Game of Thrones’ Kit Harington. The actor has revealed he is a massive fan of the films and books, and even went as far to say he rates himself as an expert. Kit also reckons the Sorting Hat would have placed him in Gryffindor, which is a bold claim if you ask us, and had some pretty harsh words for the other three houses. Kit has previously dabbled in the Hogwarts world before when, in July, he auditioned for GOT characters for a sketch on Jimmy Kimmel Live. While he tried (and failed) at Arya Stark and Daenerys Targaryen, he also threw in an impersonation of Harry Potter himself for good measure. Hello and welcome to Kit Harington Network! Your newest source for everything about Kit Harington. I know that there are some great sites on Kit online but I am a big fan of his work and I wanted to share my support making a fansite. Thanks to everyone who made this possible because I really wanted a site on Kit. Will try my best with this. If you want to share photos, magazines…please, feel free to write me. Also, if you have suggestions, you can do that too.